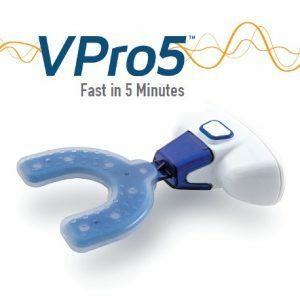 VPro5 and AcceleDent are small devices used throughout the course of orthodontic treatment, from start to finish to retention. Requiring 5 to 20 minutes per day of wear, they deliver five major clinical benefits that help give patients the beautiful smile of their dreams in less time. Just a few minutes a day can accelerate tooth movement during the active phase of orthodontic treatment with either braces or aligners, reducing the overall duration. 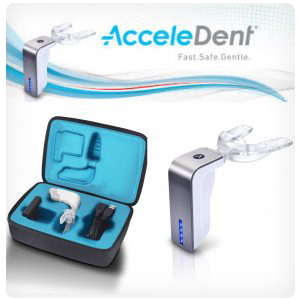 This is the latest technology for faster braces and faster Invisalign. Properly seated aligners result in faster treatment, so you can enjoy your beautiful smile sooner! Just a few minutes a day can accelerate tooth movement during the active phase of orthodontic treatment with either braces or aligners, reducing the overall duration. To find out more about Propel and AcceleDent in Orange County, CA and to learn if you would be a good candidate, schedule your complimentary Kimball Smile Analysis. Click here or call 949.363.3350 to request your appointment today!